Collaboration evokes the pleasure of belonging. We are nourished by connection. At the intersection of social, racial, and economic justice, ancient ways of caring for one another sustain people. 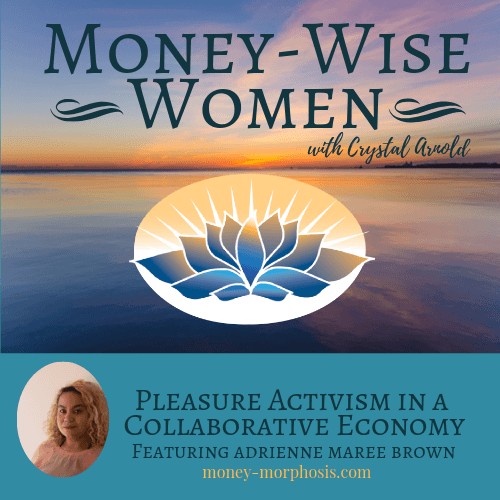 “Money-Wise Women” guest adrienne maree brown is an author and social-justice facilitator. 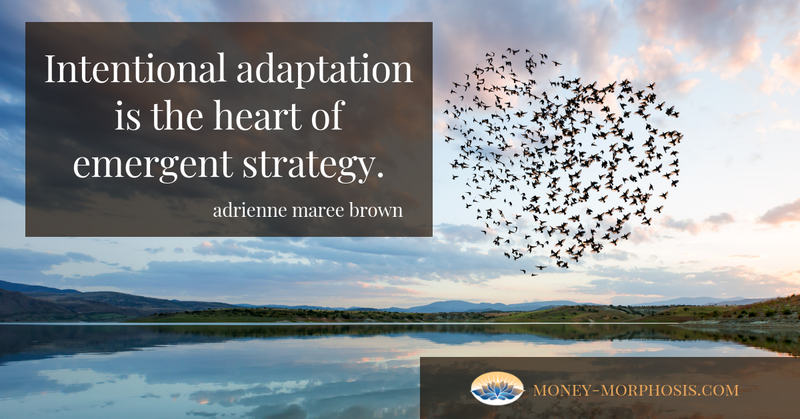 She is author of Emergent Strategy: Shaping Change, Changing Worlds. Her book draws on the wisdom of biomimicry, feminism, science fiction, and systems thinking, providing practical approaches for facilitating change. Vocational arousal is our birthright. Get turned on by the power of heartfelt co-creation with the Emergent Strategy Ideation Institute in Detroit, Michigan. They train facilitators and share tools for meaningful conversation and connection. Emergent strategies engage people in a collaborative economy. Both adrienne and I are passionate about facilitating transformational events. We invite meaningful connection as we make value visible. When I told adrienne about the Post Growth Institute’s upcoming training of facilitators of the Offers and Needs Market. She said, “I love the Offers and Needs Market, because it taps into the oldest structures by which people exchanged goods, services, care, and food. This modern practice of an ancient market system invites authentic connection that honors the needs of each person, without creating a false equity. Listen to this evocative episode for a bold call to action in the new year. When true wealth beyond measure becomes visible to you, through events like ours, your nervous system relaxes, and you feel more safe to share. People belong together, face-to-face, expressing our gifts and needs. The truth is that our communities are wealthy beyond measure. Who is adrienne maree brown? 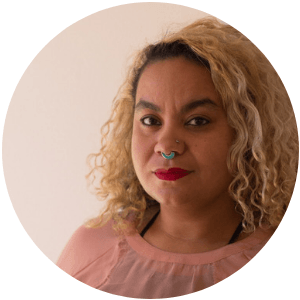 adrienne maree brown is the author of Emergent Strategy: Shaping Change, Changing Worlds and the co-editor of Octavia’s Brood: Science Fiction from Social Justice Movements. With her sister, Autumn Brown she hosts The End of the World Podcast. She is a writer, social-justice facilitator, pleasure activist, healer, and doula living in Detroit. adrienne blogs regularly on this site, and is a contributing editor for YES! magazine.